Do you want to start an Agarbaati making business from home or on a small scale manufacturing basis? Agarbatti is the popular household goods having a great market potential. The burning of agarbatti or incense in religious and social functions has been practiced in India since early times. Agarbatti an aromatic powder or paste is burnt in Indian homes as a fragrant fumigant and is reputed to possess insecticidal and antiseptic properties. The burning time of an agarbatti varies from 15 minutes to 3 hours according to quality and size. You can initiate an incense or an Agarbatti making business from home or as a small scale manufacturing unit. Agarbattis are used by all communities in India, Sri Lanka, Burma and by Indians residing abroad. As of today, about 90 foreign countries are using agarbattis. There is the demand for incense stick is all throughout the year and it increases on festive seasons. Agarbatti or incense manufacturing is recognized as an export-oriented industry. In fact, this is one of the items considered for boosting exports. Owing to the low level of technology involved in this industry, agarbatti making business can be initiated with simple machinery and moderate capital investment. In starting an agarbatti making business, you will need to register your business first with ROC (Register of Companies). If you are starting with a low capital, begin as a proprietor, OPC or LLP. However, if you want to start big and looking for funding, it is better to opt for a private limited company as it will provide investors confidence and also get other necessary license and permits easily. Apply for Trade License from the local authority. Obtain Business Pan Card. Open a current bank account. Additionally, apply for MSME Udyog Aadhaar online registration. You also need to apply for the ‘Consent to Establish’ from the Pollution Control Board. Obtain the GST registration as soon as possible. The major raw materials for agarbatti are bamboo sticks and different powder. According to the size, you will need to purchase sticks. Also, you can produce sticks in your works by having the sticks making machine. Other materials are Charcoal dust, Jigat Powder, Nargis Powder, Wood Incense Powder, Joss Powder and several essential oils. According to the fragrance, you need to select the right formula. Pay attention to the packaging. A fragrance lock packaging system is important in agarbatti making. According to the desired output entrepreneurs need to select the right machinery for agarbatti making business. As far as the project feasibility is concerned, selecting the right machinery is one of the most vital deciding factors. Agarbatti making business is profitable and several different types of machinery are available in the market. Broadly there three types of agarbatti making machines are available. Those are Manual, Automatic and High speed automatic agarbatti making machines. Apart from these, you can also consider to purchase agarbatti raw material mixer machine and drying machine to get better production output. Manual agarbatti making machine (Single and double Pedal Type), is a very easy operating machine with high production, low price, durable, Improved quality, which has no power required. These are easy to maintain with a very affordable price. 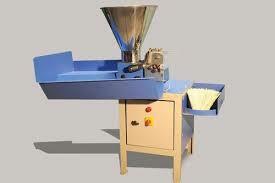 You can make good production and fine quality agarbatti from these machines. To get more uniformed production with the high volume output automatic machine is a perfect choice. These machines are available in attractive patterns, designs, and sizes as per the exact requirements. By this type of machines, you will get a production output of 150-180 sticks/minute. Round and square both types of sticks can be used. Generally, these machines run with electricity. And this type of machine demands a dedicated individual to continuously feed the machine with bamboo sticks. You will find different types of fully automatic machines those required less manpower to operate. By these types of machines, you will get the desired output with minimum labor engagement. These machines generally produce 300 – 450 sticks per minute production. You will also adjust the length from 8″ to 12″. Generally, this type of machines run automatically without any dedicated manpower engagement. Therefore, one individual can run at least 3 machines at a time. Different types of agarbatti drying machine with different models are available. It hardly costs Rupees 4-5/ kg when drying machines are used in commercial production. You will get a production output of 160 kgs / 8 Hours. In starting a commercial large scale agarbatti making project you can consider having a powder mixer or blender machine to get uniform mixing quality with less labor input. These machines are normally well capable of mixing up two type of powders that can be both wet and dry powder. These machines are generally custom made available in various sizes, shapes, and capacity. Production capacity normally varies from 10kg-20kg/10min. Mainly two types of agarbatti commercially manufactured. One is perfumed agarbatti and another one is masala agarbatti. In manufacturing perfumed agarbattis powders of charcoal, Gigatu, White chips, etc. are mixed with water to have a semi-solid paste. This composition is taken on a wooden plank and applied to sticks by rolling with hands or with an automatic incense stick making machine. Then raw sticks are dipped in suitable perfumery compound diluted with white oil or other solvents like diethyl phthalate (D.E.P.) and dried and packed.